I love Mothers Day. I love being showered by my kids and husband with thoughtful gifts and notes. I love celebrating all moms out there for the love and work they do every day of their lives. Being a mom is without a doubt the most difficult, yet most beautiful thing I have ever done. It is my favorite title and the thing that brings me the absolute most joy into my life. Gifts do not need to cost very much many, in fact some of the best gifts cost no money! The only thing that matters is that it comes from the heart. 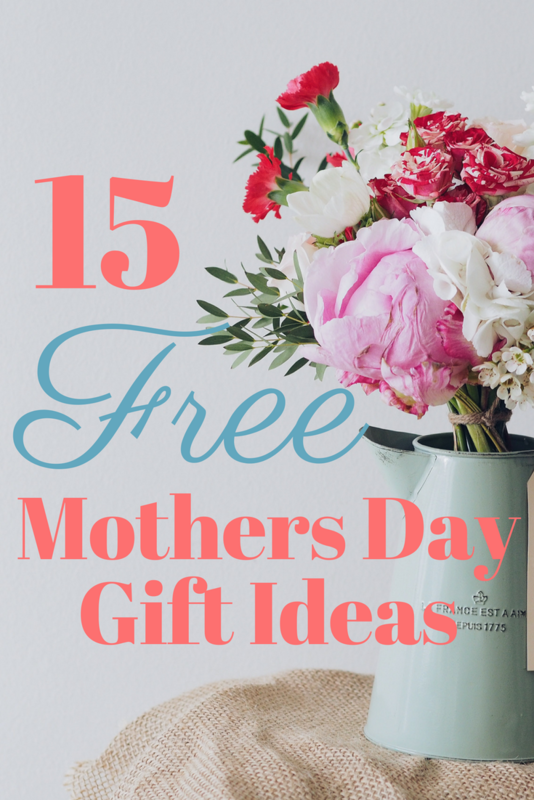 I brainstormed 15 free gift ideas to give your mom for mothers day. My love language is words of affirmation and nothing means more to me than receiving a kind and genuine note. Tell your mother what you love and appreciate about her. Let her know the impact she has made on your life. Pick some flowers from your hard, or maybe some wild flowers. Put them in a mason jar or tin can, make sure to add a pretty ribbon tied around it. 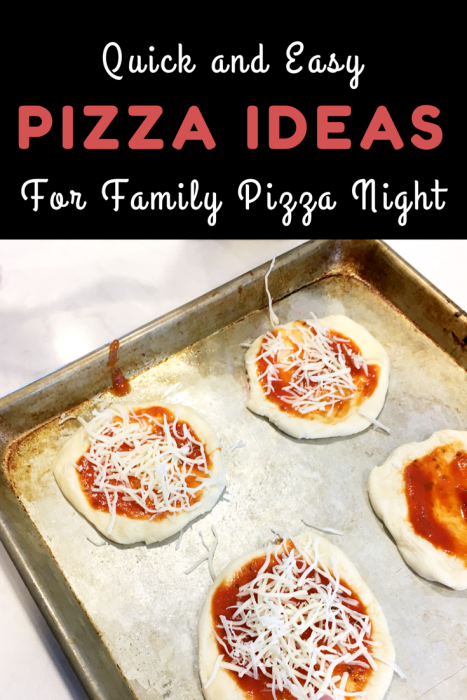 As a busy mom, I love getting a night off from cooking dinner, and I bet your mom feels the same way! Invite her over for dinner and cook a few of her favorite foods. Check out two copies of the same book from your local public library. Tell her you will both read the book and get together every week to discuss it. You will have your own mini book club! There are a lot of great recipes for sugar scrubs on Pinterest. I usually mix coconut oil with sugar and add a few drops of lavender essential oil. I keep the scrub stored in a mason jar. It works great! List the Top Ten things you love about your mom. 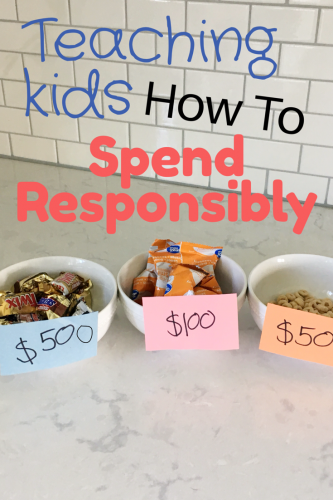 Use some cute scrapbook paper or fancy fonts to give the list a little extra flare. Send mom an e-mail with a few pictures of the favorite memories you have together. Explain to her why those moments are so special to you. If you are tech savvy, put together a video montage with music of all of your special pictures. When spring comes, so do the weeds (unfortunately!). Help mom out by weeding her flowerbeds. She will love a break from all the work and will appreciate the thoughtful service. Does your mom have a favorite cookie or treat? Make her a favorite dessert. Wrap it in saran wrap and put a pretty bow on top. Remembering what treats she likes is always a sweet gesture. Surprise her with a free car wash. You could even show a little extra love and detail the inside by dusting and vacuuming it out. What better way to show your mom that you care than to spend time with her. Ask her to spend quality time just the two of you. This could be by going on a walk, playing a game, doing a craft, or attending a free community event. Bring your nail polish over to moms house and paint her toes and fingernails. She will love having a little girl bonding time. Cut out a bunch of your favorite motivational quotes and put them in a mason jar. Tell her she can pull out a quote each day to help her feel loved and inspired. Do you like to craft? Find an easy craft you could make for mom. Challenge yourself to make it by only using supplies that you already have at home. Take the entire day off from other commitments and just be there for your mom. Spend the entire day with her. Help her around the house, share inside jokes, and show her you care making her your priority for the entire day. 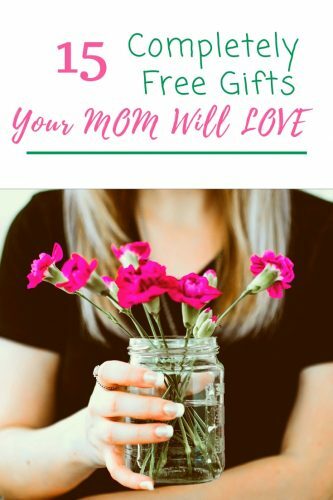 What are you giving mom for mothers day? What are some of your favorite free gifts that have been gifted to you?? Share in the comments so we can all learn together!